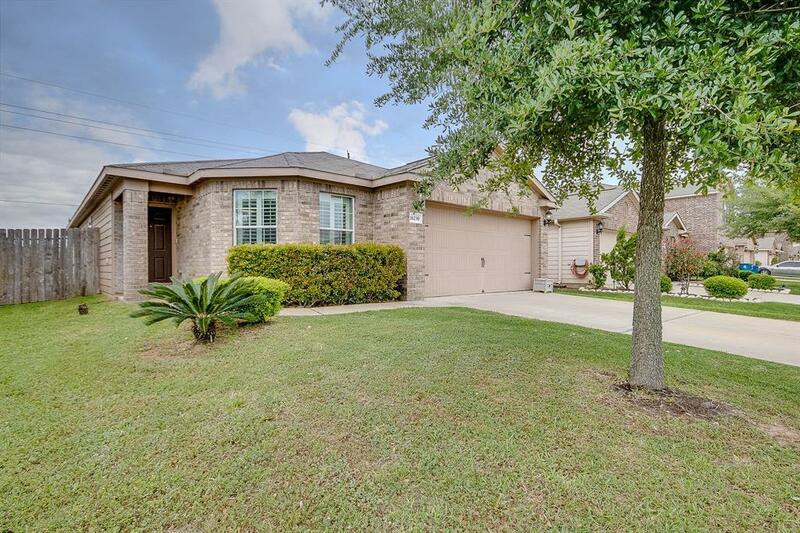 Updated single story in Mallard Crossing! Great curb appeal with striking elevation and manicured lawn. Tiled entry opens to a neutral themed dcor with three bedrooms and optional 4th bedroom or study behind glass French doors. Nice floorplan with interesting architecture, arched doorways and large windows. 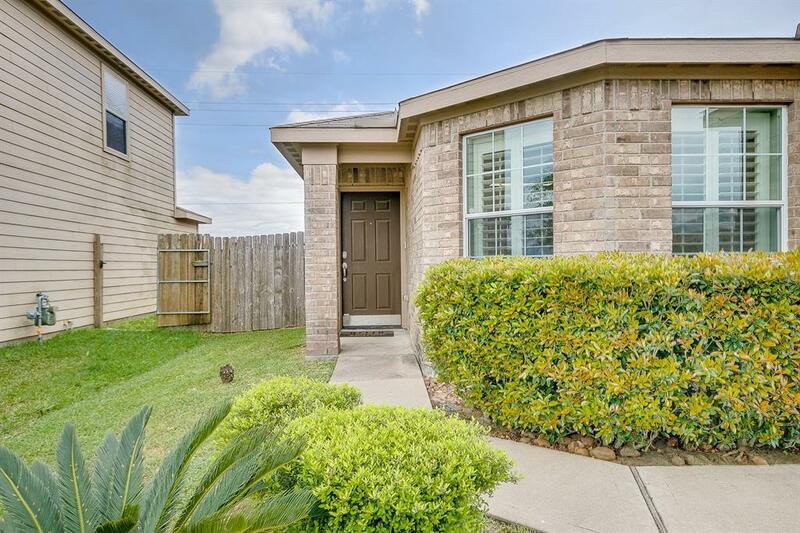 Recent updates include ceiling fans and plantation shutters throughout. The spacious kitchen overlooks the den and features a separate dining area, breakfast bar, and efficient layout with gas range and tile flooring. 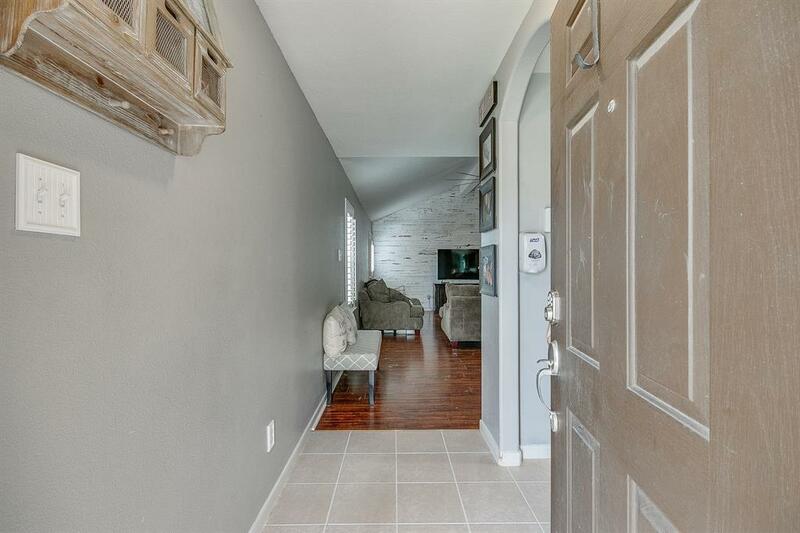 Spacious den with laminate flooring, vaulted wood beam ceiling and ship lap wall treatment. All bedrooms have laminate flooring, with ship lap wall in one bedroom. Owners retreat with outdoor access and elegant bath with garden tub, separate shower and a large walk in closet. Nice fenced backyard with covered patio. Call today to make this one yours!